at Petrov's Fine Art and Framing for our annual springtime show. I've brought a variety of fresh new never before seen pieces. I'll be arriving at 6pm for wine and cheese. Hope to see you there! 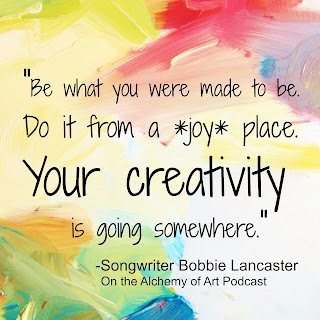 On today's episode singer/songwriter Bobbie Lancaster shares her journey of becoming a musician. Along with teaching songwriting through the "Arts for Learning" organization and conducting music at her church Bobbie has has now produced 9 albums in a wide variety of musical genres including blues, bluegrass, folk, children's music,and gospel. 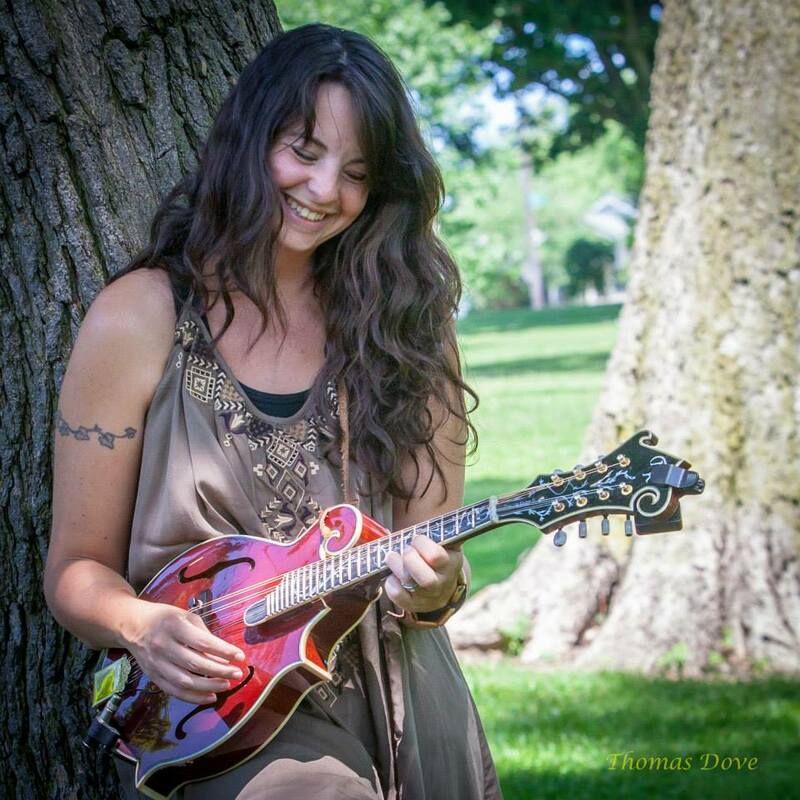 Listen to her recordings on CD Baby or follow her on Facebook under Bobbie Lancaster Songwriter. 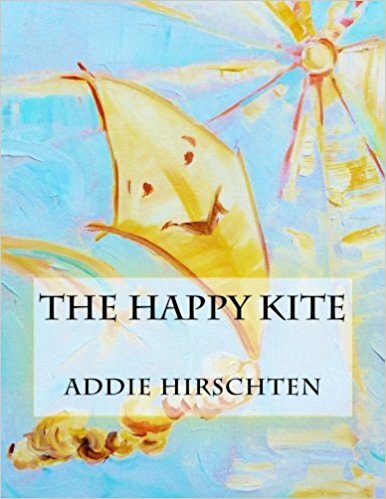 The story of the day is a true story of "The Kite" featured in the book "The Alchemy of Art: Stories for the Classroom." 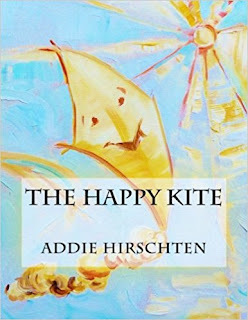 In addition Hirschten shares how that story became the seed for her new illustrated children's book, "The Happy Kite." 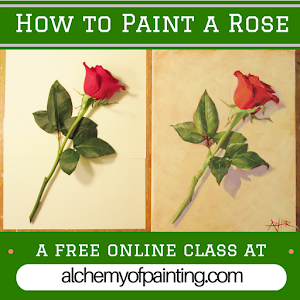 Do you love creating artwork inspired by flowers? 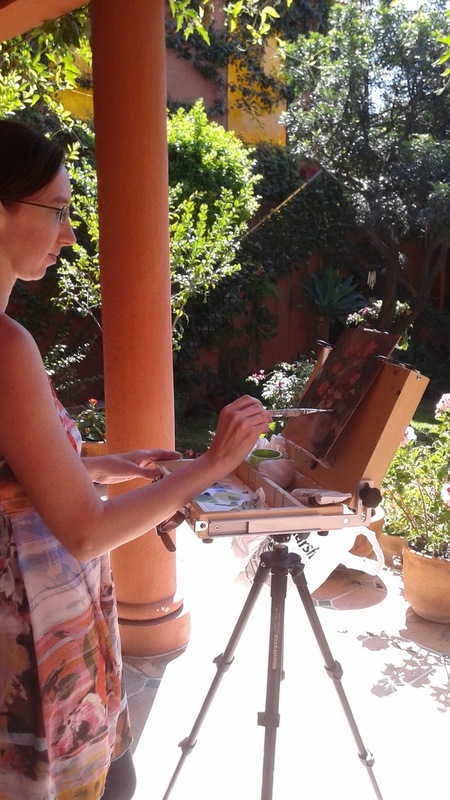 For this workshop painter Addie Hirschten will bring an abundant floral arrangement from her garden for you to paint or draw. 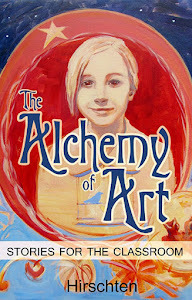 Bring your favorite materials... acrylic or oil paints, watercolors, pastels, or drawing supplies. Create your own unique piece with fellow art lovers and celebrate the beauty of spring! 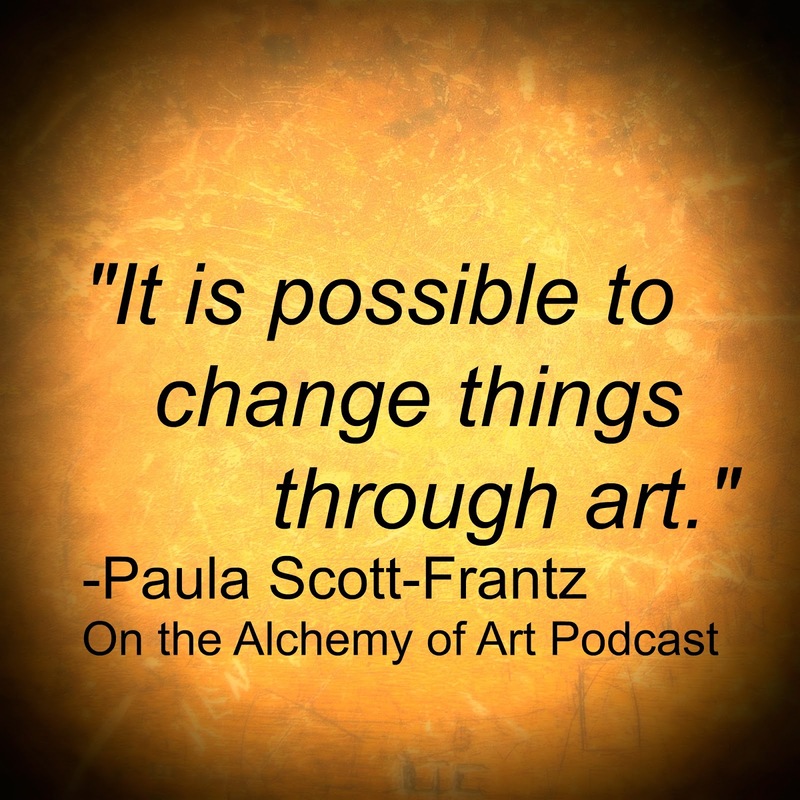 On today's episode fiber artist, Paula Scott-Frantz, shares her love of felt as well as her extraordinary personal art stories. 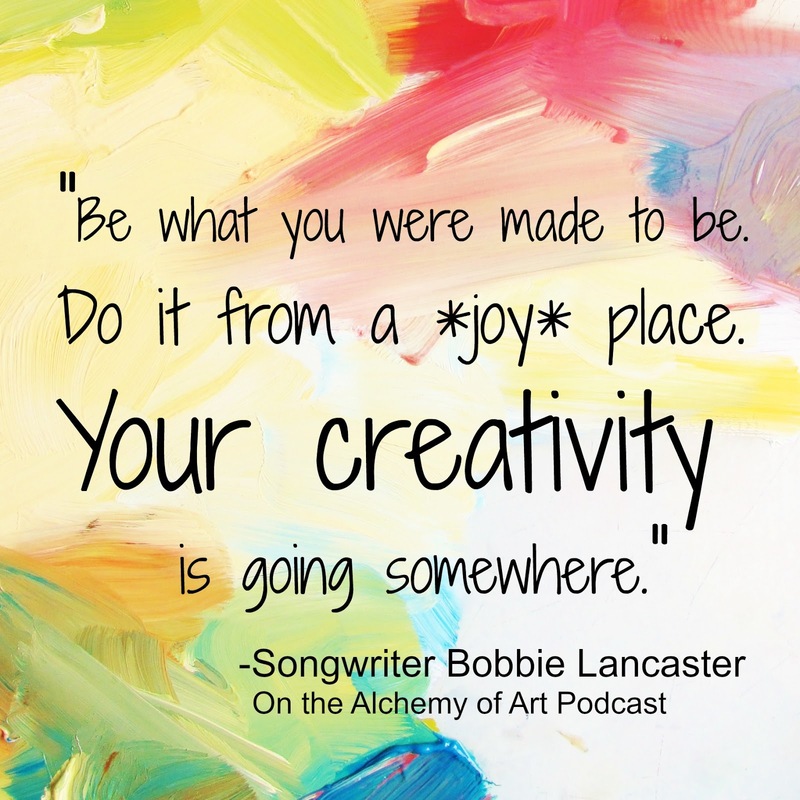 She has been working with the Indianapolis Museum of Art for over twenty years and offers a refreshing perspective on the purpose of art. The art history story of the day is about the origin of art therapy movement. 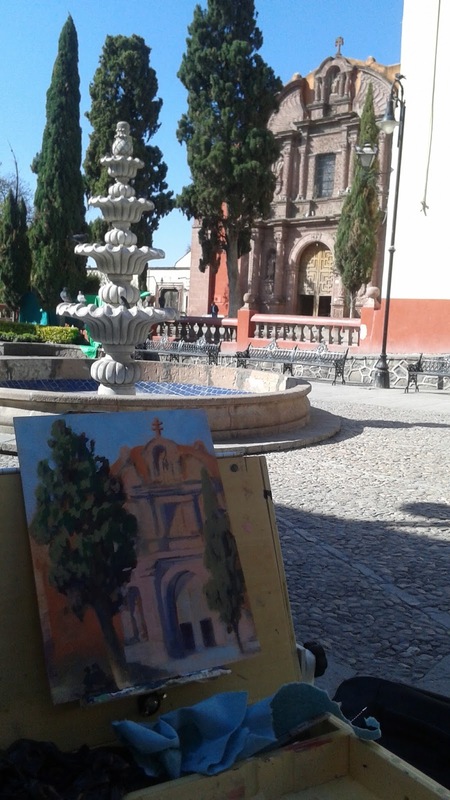 My Painting Trip to Mexico! 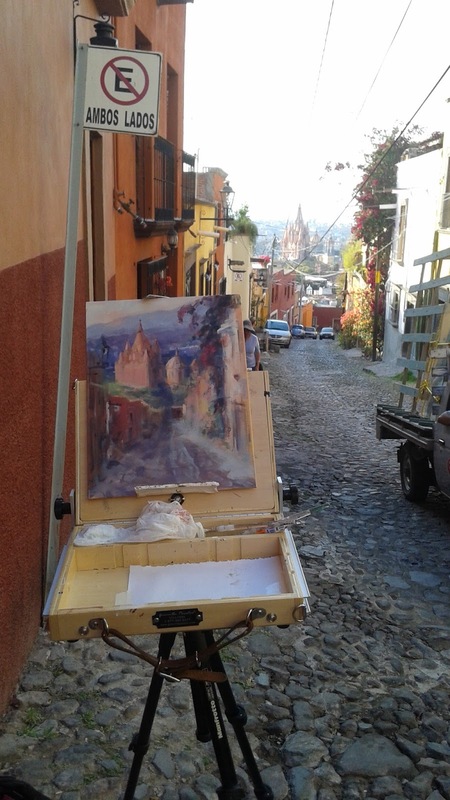 I just got back from an amazing trip to San Miguel de Allende, Mexico where I attended a week long painting class taught by artist Trisha Adams. She takes this trip every year and I recommend it! On the first day Trisha did a painting demonstration at the Lavenderia, an old fashioned laundry park. Here you can see people using the wash basins to clean clothes. That afternoon we hiked to the top of Montes de Oca Street to paint the view of the Parroquia Church. I did two studies that day. One of a pot of geraniums and another of the fountain. On the third day we went to La Puetecita Hotel to paint the garden. 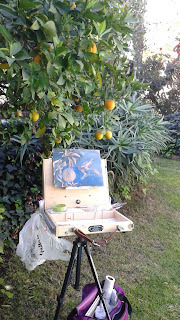 I focused in on an orange tree. 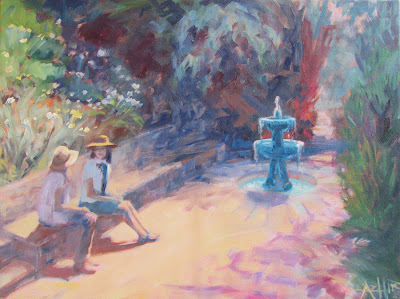 That afternoon we went to the famous Jardin at the town center. Most of us painted a charming window that had plants spilling off of it. On day 4 we painted on Del Pueblito street. 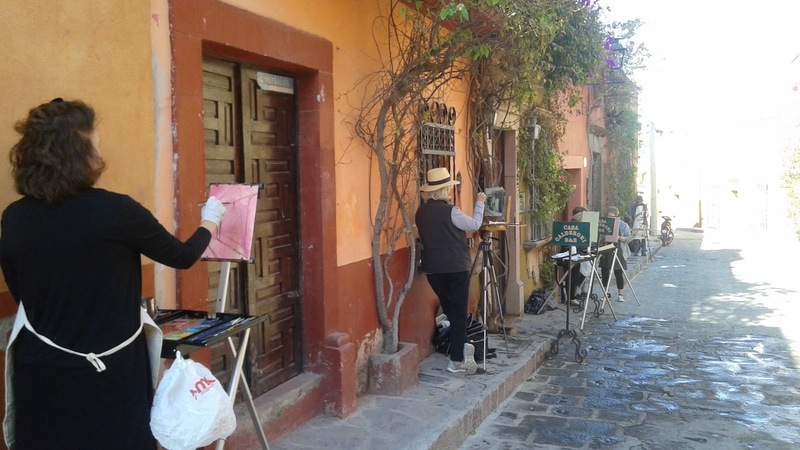 Like many streets in San Miguel it is draped with Bougainvillea flowers. I painted a doorway decorated with these flowers. 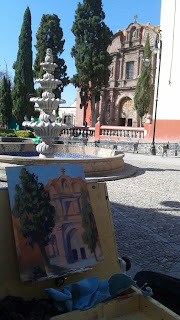 That afternoon we went to the Plaza Civica where I painted the Templo del Oratorio de San Felipe. 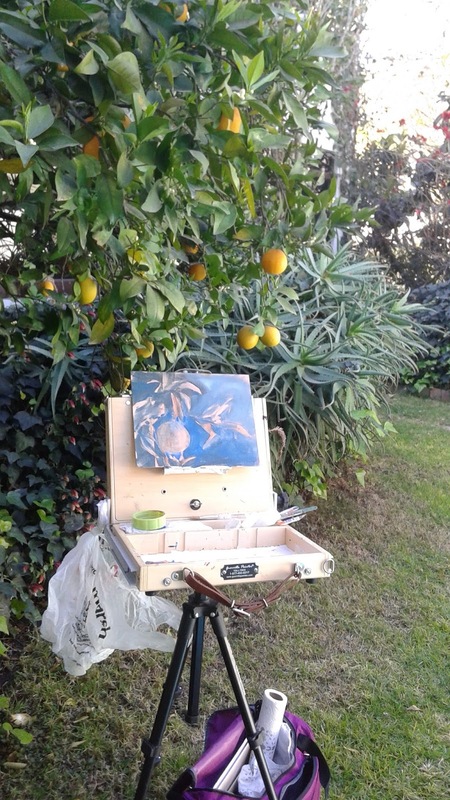 And on the fifth day we returned to Trisha's secret garden where I painted a tree in the morning light. 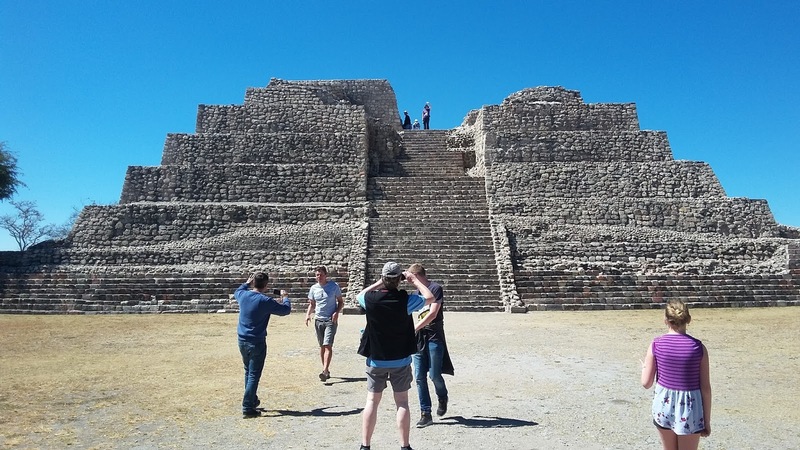 La Canada de la Virgin is an amazing pyramid to visit. 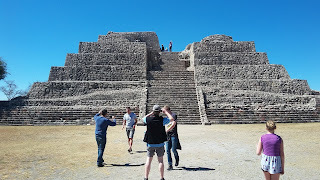 Apparently you can't walk up most pyramids but at La Canada they allow you to hike up to the top and see the incredible view. La Aurora is an old mill factory that has been converted into a wide variety of art galleries. 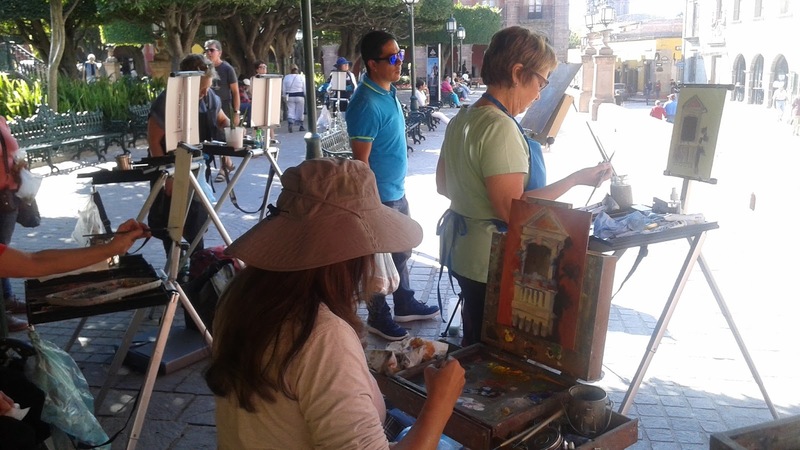 The Bellas Artes Center features galleries with edgy modern art and art classes. And last but not least La Gruta Hot Springs was a deliciously unique experience. Here you can swim through a tunnel to a domed hot springs room. They have lockers and it was very reasonably priced. Overall this was a wonderful trip. 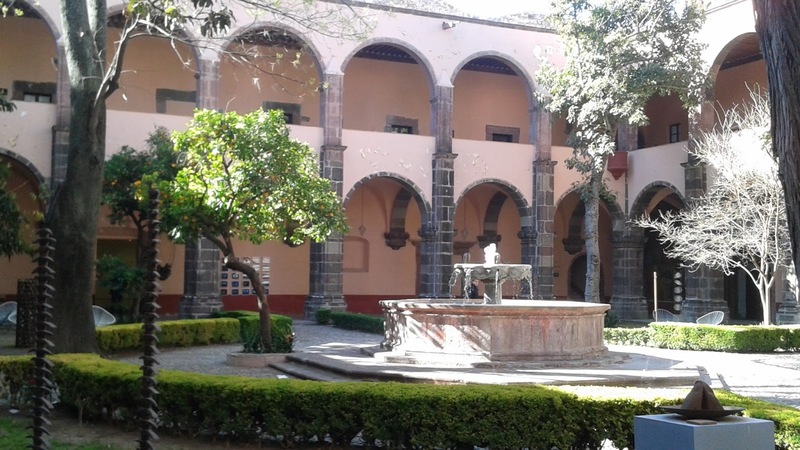 I can't help but mention that San Miguel has catered to American tourists for years so the staff at every facility I visited spoke English. Also this is the only place I have visited outside the US where I was not harassed by pickpockets or men. Put this stunning city on your bucket list.